If your mom were taking her final breath, would you know to call 911, do CPR, or let her die? Sound crazy? I let my mom die while standing by her side because I knew her Five Wishes. Does your loved one have a living will, and do you know their Five Wishes? Are you accepting your loved one’s decision with how they want to handle the fate of their illness and eventually their death? 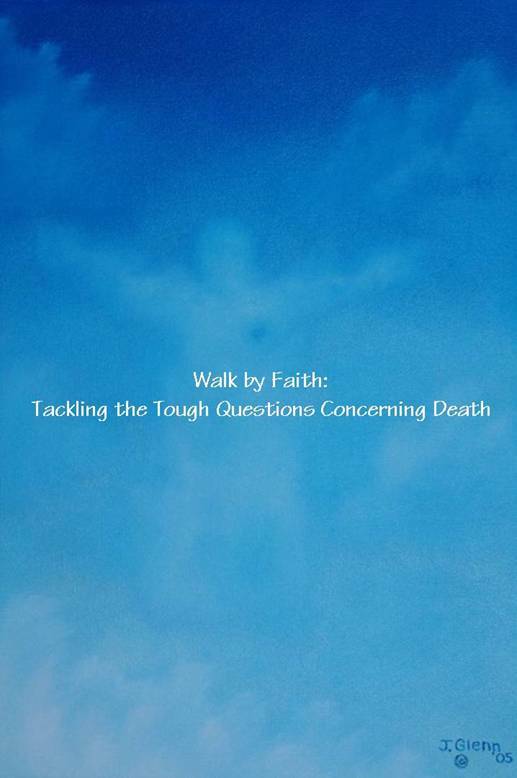 These are examples of questions I have written in Walk by Faith: Questions Concerning Death. Throughout the blog, you are asked thought provoking questions that can not have a price tag put on them. These questions are the result of what I have learned through the many deaths I have experienced. You should ponder each question, especially the deep questions, even if they are painful and some will be. One question can have a life changing effect based on what you learn. My mom was diagnosed with Lou Gehrig’s disease in late 2003. Otherwise known as, (Amyotrophic Lateral Sclerosis), the disease knows no boundaries. Lou Gehrig’s disease is a fatal disease that slowly wastes the muscles away. My family watched this horrible disease slowly weaken then destroy the muscles in her body. - The struggles my mom and my family went through with her having a terminal illness. - The knowledge I gained through my sister losing her newborn son Brennan. - Questioning my grandparent’s salvation as they neared death and going through their deaths. - Finding myself in the middle of having to share the bad news concerning my aunt’s cancer and eventually going through her death. -Thinking for five months I was going to die from the same terminal illness my mom had and my thoughts during that time. - The knowledge I gained from the previous deaths helped me as I prepared for my dog Muffin to die. She was a member of our family for almost sixteen years. - The death of my coaching career. - The death of my teaching career. - Finding out my dad had prostate cancer. - The death of my cookie shop? Every death has a lesson to teach. The lessons for you to learn are painful to go through but beneficial. Each death I have been through has taught me something I did not know before. I have made many mistakes and maybe my mistakes will offer you insight. Hopefully, you too, can walk by faith.